With over 400 million users worldwide, DropBox is one of the largest cloud storage providers on the planet. Their services are counted on by both individuals and large corporations, which speaks to their versatility as a cloud storage and online syncing option. But what is it about DropBox that makes them such as reliable, simple, and useful option for so many users? Let’s take a look. One of the main benefits of DropBox is that even their free services are highly useful and reliable. While many cloud storage providers offer very little to their ‘freemium’ users, DropBox has excelled at delivering a high quality service even to users that are not paying for their paid plans. The real beauty of DropBox is that you can access your files, photos, folders, videos, and everything else you upload to their servers from absolutely anywhere. Whether it is on your desktop, mobile phone, tablet, or the DropBox website itself, you can literally access everything you need from whatever platform is most comfortable or convenient for you. One of the major disadvantages of many smaller cloud storage providers is that it can be difficult to edit files from mobile devices. 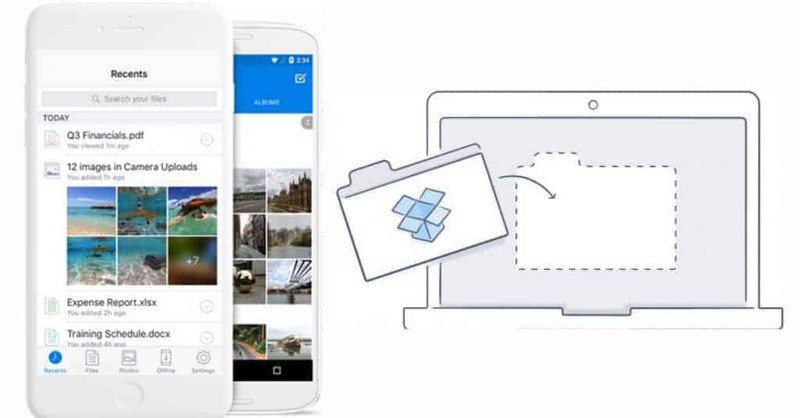 DropBox, however, is such a large company that they have designed both an Android and iPhone mobile app that is incredibly simple and convenient to use. Whether you are commuting to work or need to quickly share a file with a colleague, you can do it quickly and easily through just about any mobile device. DropBox has recently begun to focus heavily on collaboration opportunities for business or educational based teams. Their creation of the team folder is something that now allows for team members to automatically share files amongst the users assigned to their group. 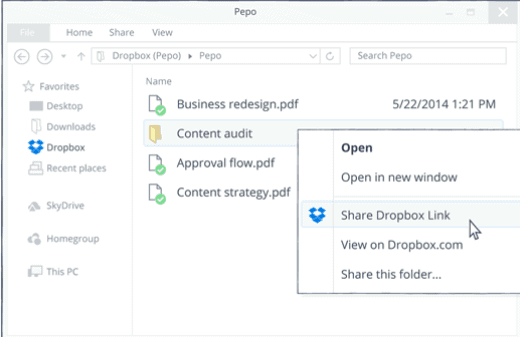 While the team folder does have a storage quota, the DropBox Business option is an affordable upgrade that will allow you to continue to grow as your project and business do. The true beauty of DropBox is its versatility. 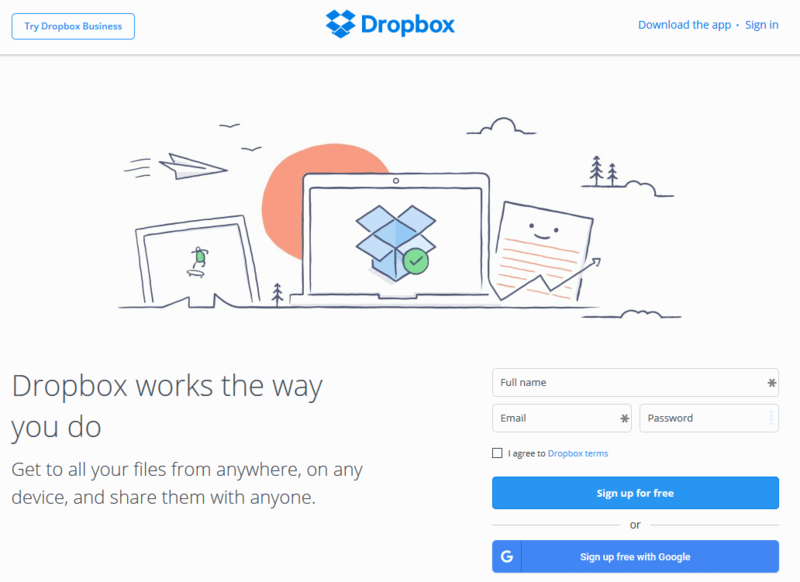 They recently created a very interesting campaign where users share how and why they use DropBox. These stories range from a daughter using their cloud storage options as a way to store medical information for her 88-year-old mother to couples more efficiently organizing their weddings. The possibilities are truly endless when it comes to sharing and collaboration through their services. The support center featured on DropBox is among the best that you will find. They give users access to a wide range of guides, how-to articles, tutorials, and everything else you could ever need to get started with their services. 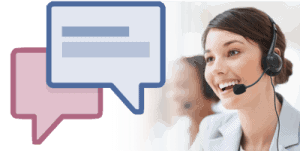 They also have a huge community area where admins and users answer questions about specific issues. Unfortunately, DropBox only offers individual support for users that purchase their business plan. While you can chat with their sales and customer service team about the possibility of purchasing DropBox Business, it would be very unrealistic to expect them to offer free customer support for non-premium members since they have over 400 million users throughout the world. One of the only cons associated with DropBox is that there have been some serious questions and concerns raised about how secure they are. These concerns have especially been raised for companies in the financial industry, as there have been issues in the past with ensuring that all information and data stored through DropBox is completely secure and not able to be viewed by others. Many users have even gone as far as saying that DropBox should only be used for non-confidential purposes. While this may be a little dramatic, it is important to note that there have been security concerns in the past. If you plan on storing confidential data or financial information through DropBox, your best bet is probably to talk to a member of their sales staff about whether the security measures are sufficient for your purposes. While the basic version of DropBox is completely free, they also offer a few premium plans that provide additional storage and customer support options. The Pro plan is only $9.99/month and comes with up to 1TB of storage (or 1,000GB). You can also choose to pay a discounted annual fee of $99.99/year. It should be noted that the free plan only allows for 2GB of storage. The DropBox Business plan is even more in-depth than the Pro plan and will set you back $75/month or $750/year. This package comes with 5TB of storage and allows for five different users. You can also add more users for an additional $15/month per user. As you probably already know, DropBox is one of the most trusted cloud storage providers in the world. They offer the best ‘freemium’ services that you will find in the industry and their DropBox Business plan gives you everything you could ever need to conveniently collaborate and run your business. In all honesty, you will be hard pressed to find someone that does not agree that DropBox is the best overall cloud storage provider in the industry. Their reliability, simplicity, convenience, versatility, and pricing make them the top option out there no matter what your needs are. With their amazing free storage options, you would be wise to give them a try before going anywhere else. Free plan with 2GB of space. Access Anywhere. 1 TB Storage and features remote wipe and additional sharing control. With over 400 million user worldwide, DropBox is truly one of the best. Anyone can sign up to their free Basic Plan and is also accessible anywhere. It also features easy and simple file sharing.